Careless talk costs lives. 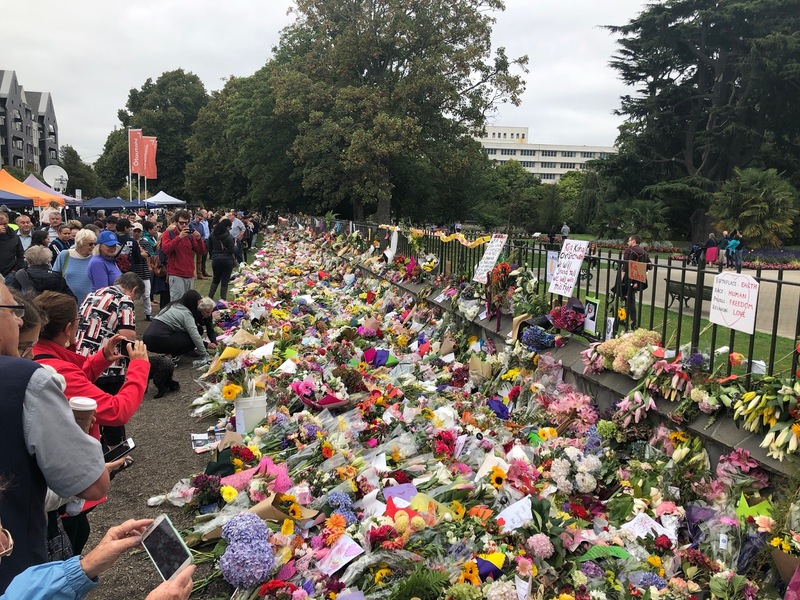 NZ mourns. 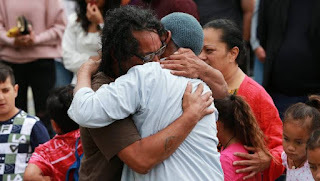 On Friday 15th March 2019 in Christchurch, New Zealand a man filled with hate shot and killed fifty people in two mosques. Saturday morning my husband David and I spent three hours absorbing the TV coverage. Many of those killed and injured were migrants. There was a lot of talk about hate. We wept at the acts of compassion and love. I came away wanting to know why someone would be so driven to carry out such a heinous act. Why would someone have so much hate? Like the world I am shaken that this has happened in gentle New Zealand. In our sadness we have to remind ourselves that the act on Friday was race motivated. Hate for a group that was different to the man who called the shots that day. What do we know about hate? We hate what is different. The Psychology of Hate by Get Psyched stated we form an in-group and an out-group. We turn to our in-group for survival. Hate is driven by love and aggression. Love for the group you belong to and aggression for the group you don’t. You will probably feel that your in-group is right in all facets, and the out-group is wrong. Hate is driven by fear. Fear of the unknown. Fear that those in the out-group will affect those in the in-group. The killer's manifesto apparently said that he feared that Muslims would take over the world, and "He wrote about becoming “increasingly disgusted” at immigrant communities." Get Psyched suggested that we often hate other people who are achieving something we cannot or fear we cannot achieve for ourselves. Why would this man hate Muslims so much? I wondered what the killer saw in the Muslim way of life that he felt he could not achieve in his? Like all religions Islam has obligations. Muslims attend the mosque for collective prayer, just as other faiths gather for collective prayer. Arranging your life so that you can pray at a mosque on a Friday, a western work day would take conviction. You would need a strong sense of identity. Maybe this man was missing that. Perhaps he hated the sense of purpose, faith and belonging he saw in Muslims. He envied it. I suggest he feared he would never have such conviction. Unfortunately for us, his hate gave him a strong enough sense of conviction to massacre fifty people. We are not born with hate. Hate is learnt from our environment. 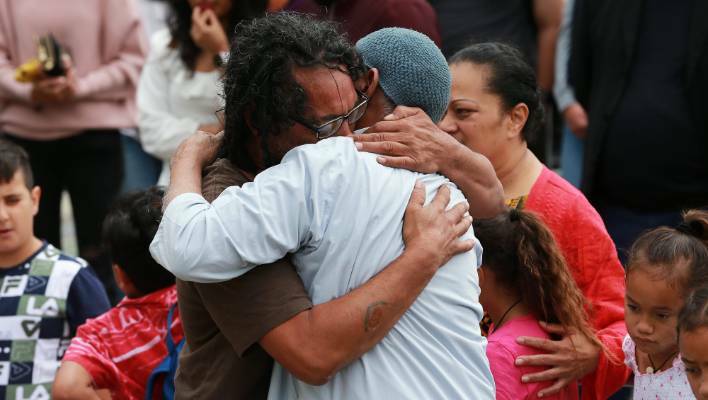 When 9/11 happened in 2001, the Christchurch killer was five years old. In the following ten or so years anyone with a beard and brown eyes seemed to be suspected to be a terrorist. If our social conscience develops at seven, then he had enough racism in his environment to form an opinion. This man’s hate may have been fueled by extremists on line, but the racism was also reinforced by his encounters with people he engaged with face to face. There was racism before the internet. Many of us if not all of us would have heard a racist comment in social gatherings, a workplace, a party, a bar, a barbecue, a family dinner. What did we do when we heard those comments? Over the last few days we have been moved by compassion and grief. As a nation we have laid flowers and donated money. We have attended vigils. We have wept. We have felt helpless what more can we do? Love and compassion is the antidote to hate. We can show compassion by being more informed about the group that is different to us. We already have learnt more about the process for a Muslim funeral. The more you know about the out-group, the less you will feel they are the out-group. Halt the hate. Stop racist comments gaining traction. When you hear a racist joke or comment, you could respond with, "Those comments are a bit out of date," or, “I'm going to disagree with you on that," or, "I don't see it that way." With racist jokes, you could say, “I'm feeling uncomfortable about the victim of the joke," or, “I can’t laugh about that." Another suggestion I was given recently was to ask the joke teller to explain the joke which would produce an accountable if awkward silence. 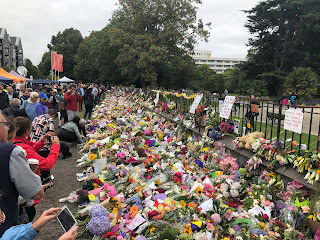 New Zealand is showing unity and love at the moment. Racism in New Zealand has been highlighted. Soon the flowers will be cleared away. There will still be racism. We need to continue to show aroha by learning more about people who are different to us. We need to halt the hate. We need to stop the careless talk by speaking out. Then they came for me – and there was no one left to speak for me." 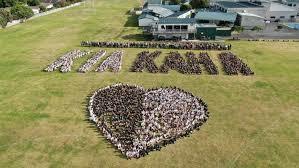 Kia Kaha (Stay strong) a tribute from Orewa High School, NZ. "Welcome home" by Dave Dobbyn sung as Cantabrians gather.